Samuel Ames, the first settler in Norway Village, came to Norway in 1789 after brief stays in Hebron and Paris. He helped build the first saw mill and grist mill at the outlet of Lake Pennesseewassee and became the first miller in town. He was born Samuel Buck in 1759 and was a drummer in the Revolutionary War at General Burgoyne’s surrender at Saratoga in 1777. He took his mother’s name, Ames, before coming to Maine from Haverhill, MA. He built the first residence in what became the village of Norway and built the first wagon there. He acquired the woods that became Ordway Grove and, according to his granddaughter, Clara Ames Hayden, loved and protected the woods. That is easy to believe, for he kept them until 1852 when he passed them to his son, Baker. Samuel Ames died three months later at age 93. The woods were known as Ames’s woods and were kept in the Ames family until 1864 when they were sold to John A. Ordway; the name was changed to Ordway Grove. John A. Ordway was one of six Ordways who came to Norway in early 1800s. John Ordway came to Norway after the 1800 census but after a few years removed to Sangerville in Piscataquis County. His brother, Amos Ordway, came to Norway about 1826 after having lived in North Yarmouth and St. Andrews, New Brunswick. Amos took Mary, Samuel Ames’s eldest daughter as his second wife. They built their home on a quarter acre lot they got from Samuel Ames adjacent to Ames’s Woods. They had no children. Amos had three sons by his first wife. His first son, Amos Jr. died in St. Andrews leaving his wife and two sons, George D. T. and John A.
George D. T. came to Norway with his widowed mother in 1836 but after a short while they returned to St. Andrews and in 1841 George D.T. went to New York City and became a successful carpenter/builder. Amos’s second son, Sewall Ordway came to Norway about 1835 and died shortly thereafter. George James, the third of Amos’s sons, came to Norway about 1837. Soon after, he left on a trip to China lasting about a year and returned with money to make a number of investments in land. About 1841 he bought Barton’s store but after three or four years the business failed and he went through bankruptcy. Afterwards he went to Portland and was clerk for Emery and Waterhouse. John A. Ordway came to Norway in 1837 and remained two years before going briefly to New York, then to St. Andrews and on to Boston where he stayed a year before returning to Norway in 1841 to clerk for his uncle, George James. After his uncle’s business failed, John A. went to Boston where he became successful in business on his own. During this period in Boston, John A. Ordway bought Ames’s Woods, renamed it Ordway Grove and kept possession for sixteen years. The next owner, Henry Bearce, bought Ordway Grove in 1881 and retained it until his death in 1896. Henry Bearce was a prominent lawyer and Civil War veteran. When General Grant faced General Lee in a stalemate at Petersburg, Virginia, federal troops tunneled under the rebel lines and a large explosion was set off to breach the rebel line. Henry Bearce, a Second Lieutenant in the 32nd Maine Regiment was captured by the rebels in the melee that followed. He survived the war and returned to Norway becoming one of its leading citizens. Frances A. Danforth of Rumford next owned Ordway Grove. When the grove was threatened by harvesting, it was purchased in 1901 by Don Carlos Seitz of New York. 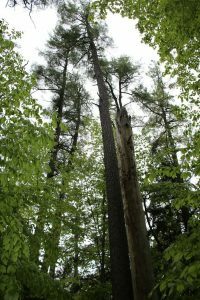 Don Carlos Seitz probably did more than any other person to preserve the great white pines. Don Carlos Seitz was born in Ohio in 1862 and came to Norway with is parents in 1877. His father, Rev. J.A. Seitz, became the pastor of the Universalist Church remaining about four years. Rev. Seitz was well liked in the pulpit and according to his son, Don Carlos, was inspired by the pines of Ordway Grove during the preparation of his messages. Rev. Seitz began publishing the New Religion, a religious paper which became an anti-Republican voice and the paper was transferred to North Conway, N.H. in 1882. Don Carlos Seitz graduated from the Norway Liberal Institute in 1880 and afterwards learned the printer’s trade on his father’s paper. He moved to New York where in 1887 he gained literary notice in letters to the Brooklyn Eagle about happenings in the legislature at Albany. He later became city editor of the Eagle (1889-91), then Assistant Publisher of the New York Recorder (1892-3) and Business Manager of the New York World (1895-97), one of the foremost newspapers of the time. He was an author of note and wrote several books. After Don Carlos Seitz acquired Ordway Grove, he offered to sell it to the town of Norway for a public park, but the offer was rejected. He retained possession until it was acquired and sold by the Bronx Borough Bank to Ernest W. Hutchins in 1927. When the trees were again threatened by lumbering in 1930, Seitz wrote that he would gladly repurchase the Ordway Grove if a suitable agent could be found who would preserve the trees. Herbert S. Wood bought Ordway Grove December 8, 1930. 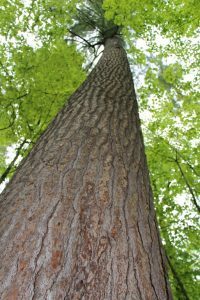 In November, Vivian Akers of the Twin Town Nature Club had alerted the club in a special meeting of the pending threat to the trees. 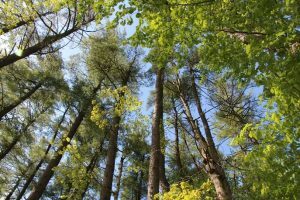 Don Carlos Seitz found an anonymous donor and Ordway Grove was deeded to Clarence Morton, a trustee of the Twin Town Nature Club on January 6, 1931. 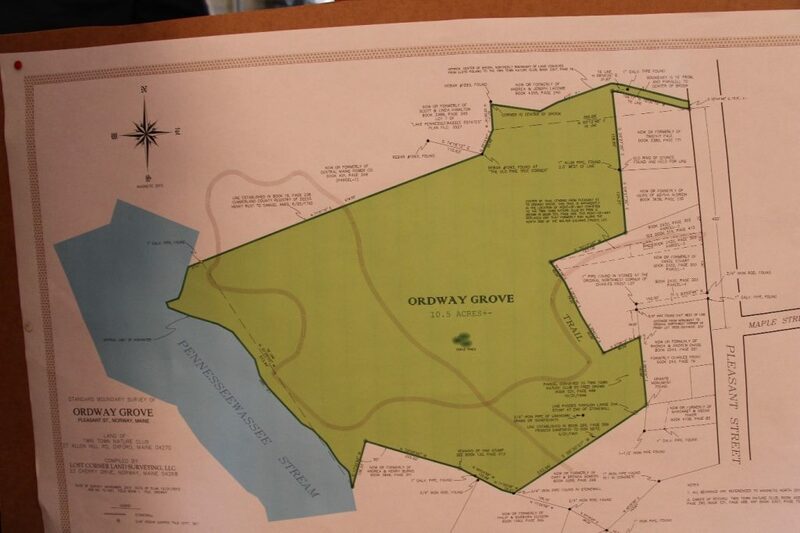 After the Twin Town Nature Club was incorporated in April 1931, becoming a legal entity able to own property, Ordway Grove was deeded to the club for use as a public park and nature preserve on May 5, 1931. The Twin Town Nature Club was formed in 1923 to study the various departments of nature and to share knowledge gained among members and others in the local communities. These objectives continue today, after decades of caring for Ordway Grove since the clubs origination in 1923. Should you care to visit Ordway Grove, the entrance is a short way down Pleasant Street, on the left. The entrance path is between two houses and is marked by a small wooden sign.